A leading website for helicopter games, R/C helicopters, and helicopter news! TO CONSIDER ALL the Bell V-280 Valor has accomplished, it’s surprising to remember that it was just over a year ago—on December 18, 2017—that it took to the air for the first time. In the first 12 months of its airborne testing regimen, the aircraft has spent 85 hours aloft and bagged a series of speed, distance, and maneuvering milestones. 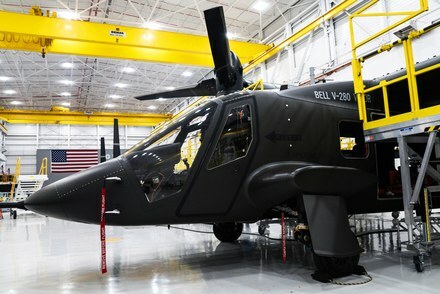 And that bodes well for Bell’s bid to win the contract to replace the Army’s aging Black Hawk helicopter. Novelty and history conspire to make that timeline impressive. The V-280 is just the second tilt-rotor aircraft to be created for the military. The first one, the Bell/Boeing V-22 Osprey flown by the Marines, endured a notoriously protracted, complicated, expensive, and often disastrous development process. The two aircraft don’t share any hardware, but they both use swiveling rotors to switch between flying vertically (to take off and land like a helicopter) and horizontally (to cruise like a plane). The South Korean military plans to buy more Apache heavy-attack helicopters to lead the deployment across enemy lines should conflict erupt on the Korean Peninsula, according to defense officials. It’s unknown exactly how many more Apaches the government wants, but informed sources tell Defense News the number could reach as much as 40. With the government clearing the mega-project to acquire 111 helicopters for the Indian Navy, a leading Russian manufacturer wants the Navy to try its Kamov 226T helicopter, saying the chopper aptly meets the force's needs. "We think of the Kamov Ka-226T JV with India as a synergistic project with further possibilities. For instance, the Indian Navy has recently announced a tender for delivery of 100 (111) helicopters with a mass of up to 5 tonnes. We think it might be good move for Indian ministry for defence to save their money and purchase Kamov 226T with its latest modifications, because we already have solutions of folding blades in the place. Stressing that Ka-226T meets the requirements of the Indian Navy, Boginisky clarified that the Navy's project for 111 helicopters is a separate project and is not related to the Ka-226T project of the Indo-Russian JV to produce 200 Kamov helicopters. The Navy on Tuesday moved a critical step toward awarding Sikorsky a contract on the first two huge King Stallion helicopters to be built in Connecticut. Over the next two decades, the Navy hopes to purchase 200 CH53K “heavy-lift” helicopters, known as the King Stallion, to be used by the Marines. Aurora Flight Sciences continues to break ground on the development of advanced autonomous capabilities for vertical take-off and landing (VTOL) systems. Aurora's work on the Autonomous Aerial Cargo Utility System (AACUS) program will integrate the company's Tactical Autonomous Aerial Logistics System (TALOS) on a UH-1H helicopter. The primary goal of the AACUS program is to enable rapid cargo delivery by unmanned, and potentially optionally-manned, VTOL systems. At the AACUS flight testing event held Thursday in Northern Virginia, the program demonstrated on a manned Bell 206 the capabilities required for autonomous takeoff, transit and landing. Aurora's TALOS system has been demonstrated previously on a Boeing H-6U Unmanned Little Bird flown autonomously, and three different human-piloted Bell 206 aircraft. A group of area Vietnam veterans brought a workhorse combat helicopter — one that was actually shot down in combat in Vietnam — to Tonawanda, with a groundbreaking and dedication ceremony Wednesday morning. The AH-1 Cobra, manufactured by Bell Aerospace subsidiary Bell Helicopter, will take its place in Veterans Park on River Road in the City of Tonawanda. A veteran of Vietnam combat itself, the AH-1 being brought to town by local veterans was actually shot down in combat in Vietnam — only to be repaired and put back in service. As it rolls out its new Leonardo brand, Italy’s Finmeccanica is in good shape thanks to a new Eurofighter deal. However, a decline in helicopter sales are negatively affecting the company. The firm, which is currently known as Leonardo-Finmeccanica, released first quarter results Thursday that showed earnings before interest, taxes and amortization (EBITA) were up 4.5 percent to €164 million (US $187 million). That prompted CEO Mauro Moretti to claim the company “had the wind in its sales." The U.S. Army Contracting Command-Redstone announced Friday they are putting another UH-60A helicopter up for sale on behalf of The Utility Helicopters Project Management Office, Black Hawk Exchange and Sales Team (BEST) Program. Interested buyers have 15 days to indicate their desire to purchase the aircraft and arrange satisfactory arrangements for payment, pickup, handling, and transportation charges. Payment must be made within 30 calendar days after purchase. Airbus GroupNV and Korea Aerospace Industries Ltd. signed a contract Monday to produce military and civil helicopters in South Korea, with the agreement potentially valued at $10 billion over a decade. Korea Aerospace and the European aircraft maker intend to jointly build at least 300 helicopters, a spokeswoman for the South Korean company said. 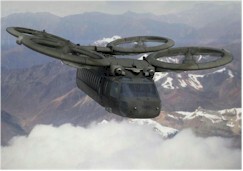 Future Vertical Lift (FVL) is a program to develop a family of helicopters for the United States Armed Forces. Four different sizes of aircraft are to be developed. They are to share common hardware such as sensors, avionics, engines, and countermeasures. FVL is meant to develop a replacement for the Army's UH-60 Black Hawk, AH-64 Apache, CH-47 Chinook, and OH-58 Kiowa helicopters. The precursor for FVL is the Joint Multi-Role (JMR) helicopter program, which will provide technology demonstrations planned for 2017. The Army plans to acquire as many as 4,000 aircraft from the FVL program. As early as the mid-1980s, German army aviation needed new helicopters. Its Vietnam-era Bell UH-1s and Sikorsky CH-53s had seen better days. France, West Germany, Italy, The Netherlands and the United Kingdom got together in 1985 and drafted a scheme to develop a new fly-by-wire, multipurpose helicopter—the NH90. The U.K. soon left the project. You probably don’t plan to keep your current car for 20 years. But that’s what the US Army has to do with its helicopter fleet. With the Armed Aerial Scout (AAS) helicopter stillborn for lack of funds and the Future Vertical Lift (FVL) family not entering production until the 2030s, the Army has to invest carefully to keep its current choppers not only flyable but viable against ever more sophisticated threats. Sikorsky’s S-97 Raider looks like the future. Not the distant future -- not the “Star Trek” future -- but a closer, more attainable future. Its design is based primarily on Sikorsky's X-2 project, and as the name implies, this isn’t just the future of helicopters. This is the future of helicopters at war. A Navy helicopter was dragging a mine-clearing sled through the Atlantic Ocean seven months ago when, inside the cabin, an electrical arc shot from a wiring bundle and connected with a worn fuel line, igniting an explosive fire. The U.S. Army Contracting Command-Redstone has notified State Agencies for Surplus Property (SASP) that a single Black Hawk helicopter is available for sale through negotiation at fixed prices. The Army made the announcement in contract documents released Friday. HELOSIM.COM - A leading website for helicopter games, R/C helicopters, and helicopter news!